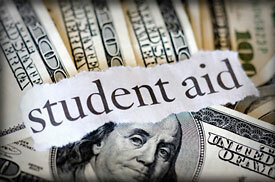 President Bush recently signed the Ensuring Continued Access to Student Loans Act of 2008 (H.R. 5715), which would increase some funds to students, while decreasing funds in other areas. For many, the Act was to silence the alarm of the college student loan crisis, in which many lenders stopped supplying loans to certain colleges because they lacked profitability. But some critics believe the Act leaves many college students out in the cold. Reecy Aresty, a financial-aid expert and president of College Assistance, Inc., stated that the Act is simply adding fuel to an ongoing fire by ensuring that college-student-loan lenders and colleges will benefit at the expense of students. “… All it did was to perpetuate another deception on the academic public,” said Aresty. Aresty points out that the previous college student loan act (HERA)–which began in the 2007 to 2008 school year–increased Stafford loans for college freshman by $375 (starting at $2,625) and a $1,000 increase for sophomores (starting at $3,500). But need-based college students lost $1,875. Colleges reduced their funding in turn, in which Aresty states they will benefit. With the new law, Stafford college student loans will be increased by $2,000 annually, a total of $8,000 for undergraduates. Graduate and professional students will not see an increase in their funding, which remains $12,000. Many lenders have decreased or halted college student loans because of its lack of profitability and high default rates at some colleges. At community colleges in California, for example, Citibank has stopped its loan programs. Expensive colleges, such as ivy leagues, continue to get the most funding because the return on investment is higher for lenders. “A wolf in sheep’s clothing” is what Aresty calls the new Act. He encourages everyone to write their congressperson to repeal the Act because college students will graduate in more debt than ever before. Reecy Aresty authors the manual, “How to Pay for College Without Going Broke” and he presents free admissions and financial aid seminars around the country. Visit http://www.paylessforcollege.com for more information about College Assistance, Inc.